In 2010, more than 70 million American workers did not have access to an employer-sponsored retirement plan, according to a new study from the Investment Company Institute. Not all were private sector workers, ICI notes. 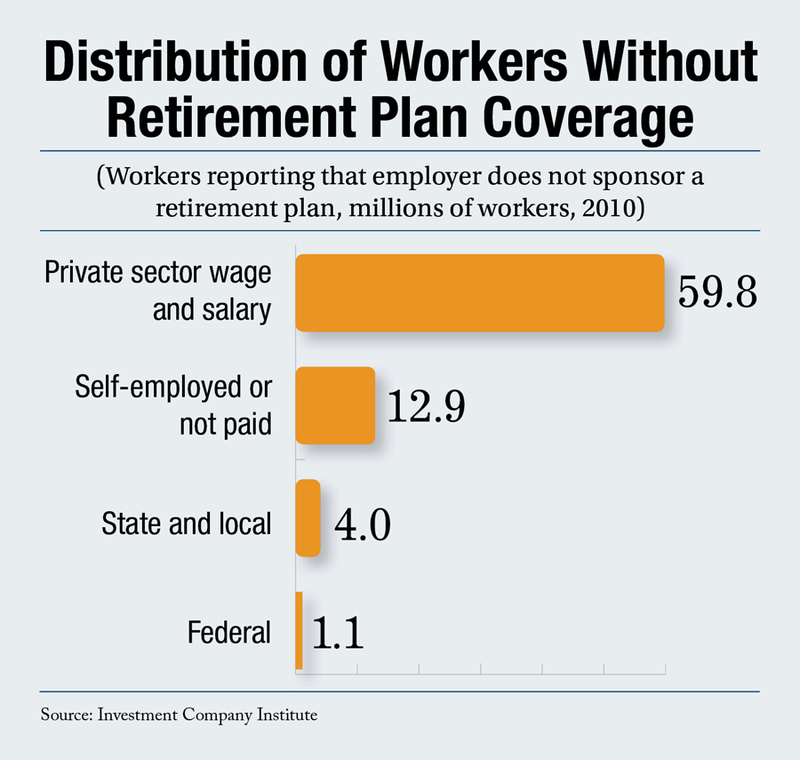 “Among government workers, 1.1 million federal government workers and 4.0 million state and local government workers reported that their employers did not sponsor retirement plans. Another 12.8 million workers without an employer- sponsored retirement plan were self-employed and approximately 117,000 reported that they worked without compensation of any type.